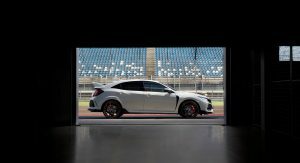 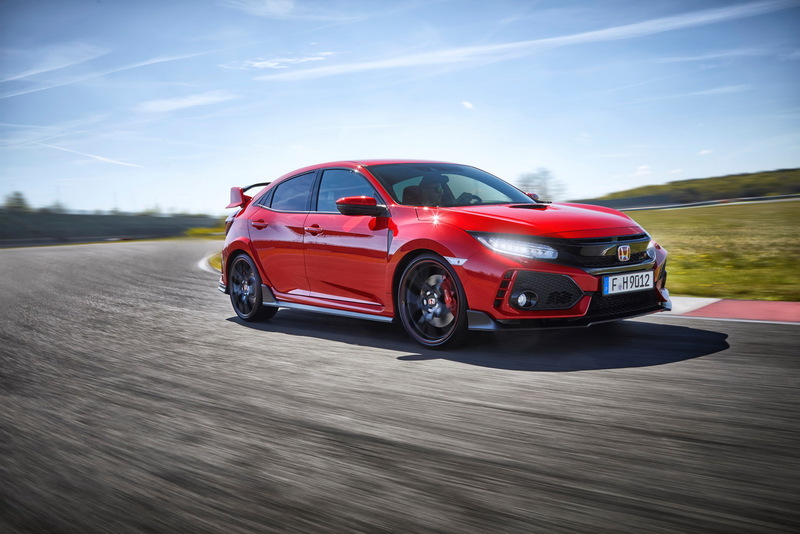 Honda’s FWD ‘Ring King, the new 2018 Civic Type R, has been detailed in a generous new image gallery, as it’s getting ready to hit the assembly lines, in Swindon, UK, this summer. 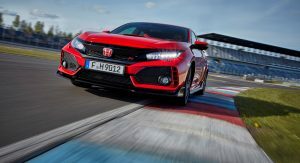 From their manufacturing facility in Europe’s largest right-hand drive market, the automaker will export it across the continent, and to other markets across the world, including Japan and, for the first time ever, North America. 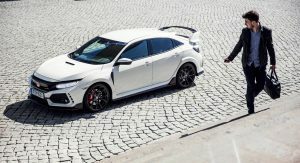 At its heart, it carries a 2.0-liter turbocharged four-cylinder engine that makes 320PS (315hp) and 400Nm (295lb-ft) of torque, married exclusively to a six-speed stick shift . 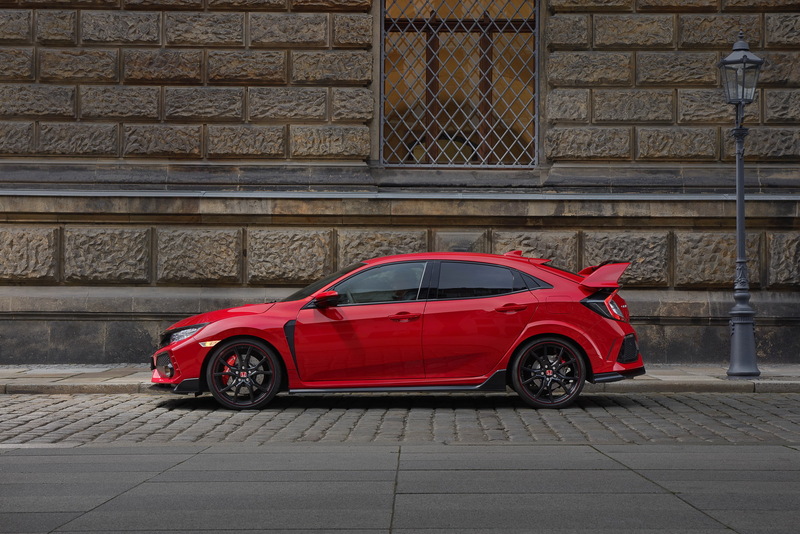 In this configuration, the 2018 Civic Type R needs 5.7 sec to go from rest to 100km/h (62mph), before topping out at 272km/h (169mph). 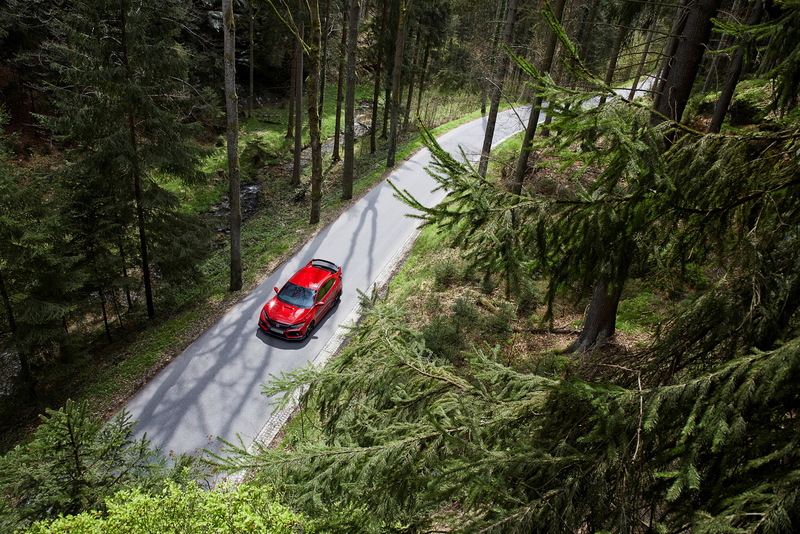 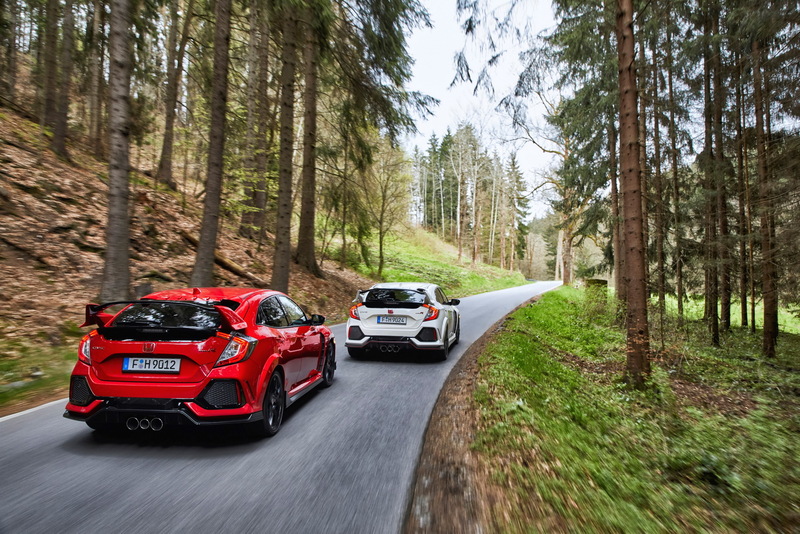 Average fuel consumption is estimated at 7.7 l/100 km (31 US mpg / 37 UK mpg), and the hot hatch emits 176 g/km of CO2. 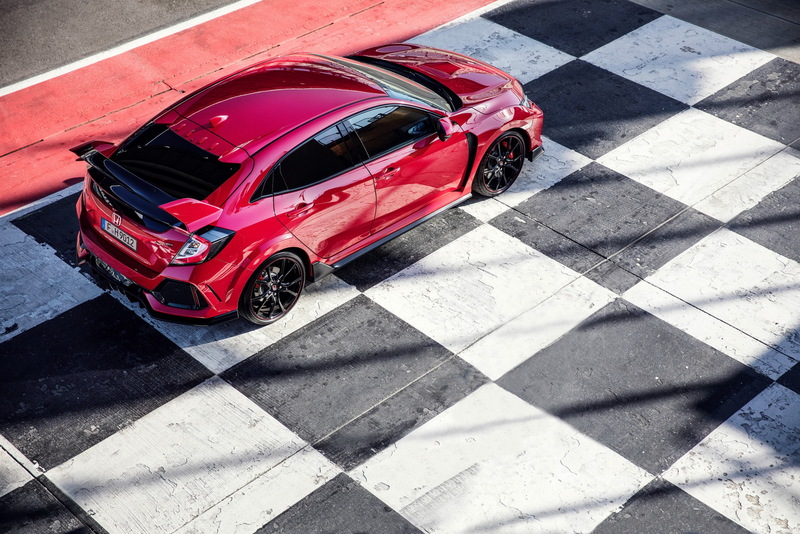 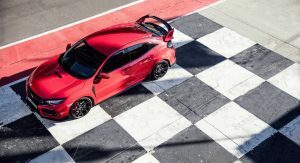 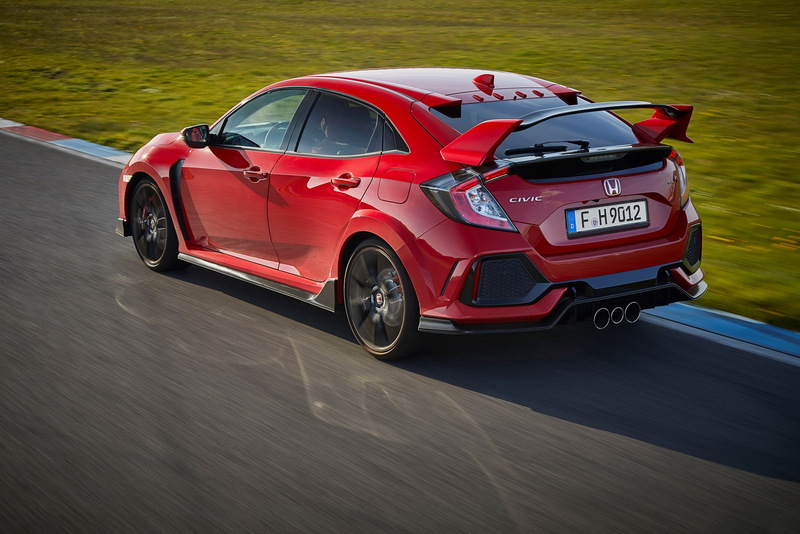 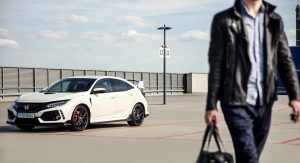 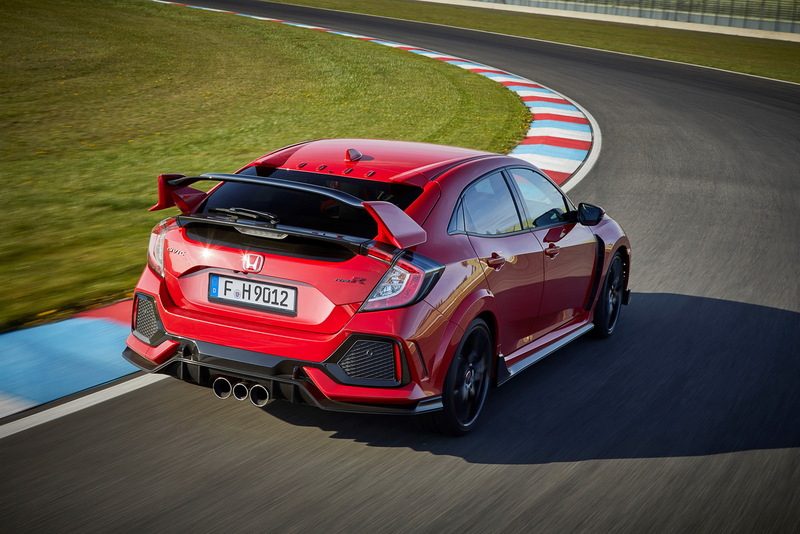 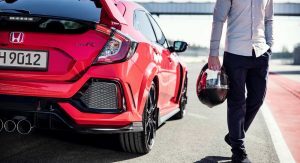 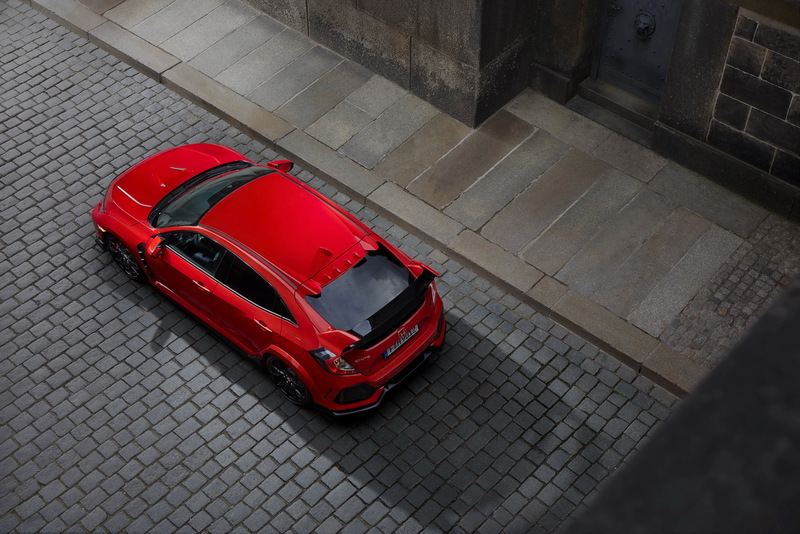 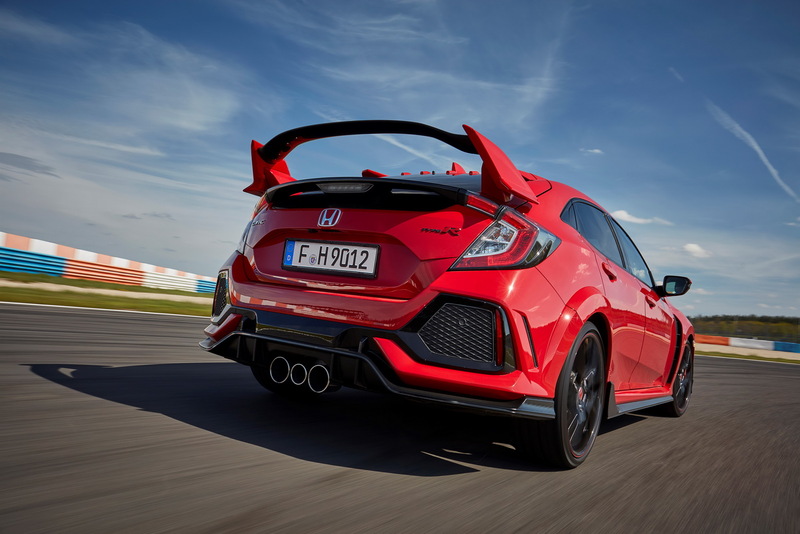 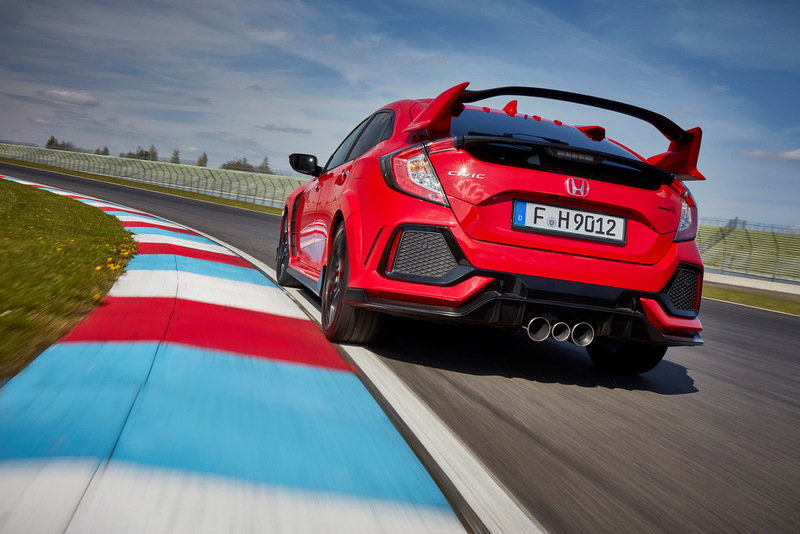 Larger than its predecessor, the brand’s compact hot hatch features a sporty body kit that makes it instantly noticeable, compared to the regular Civics, and it also features an assortment of driver assistance systems such as blind spot monitoring, cross traffic monitor, and the brand’s suite of active safety technologies. 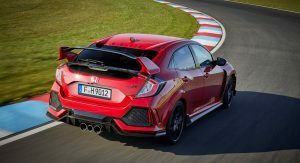 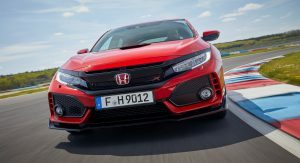 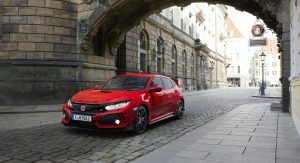 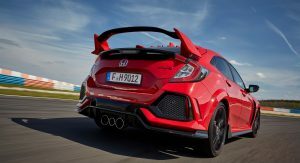 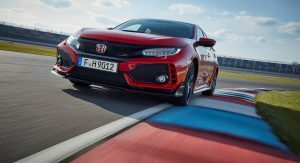 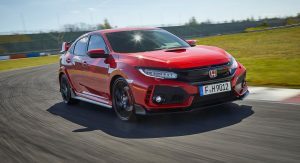 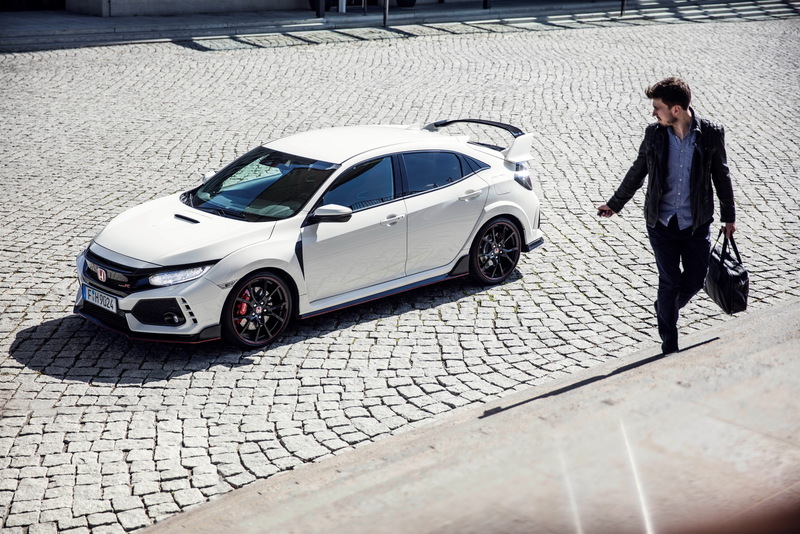 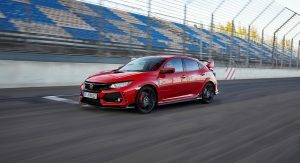 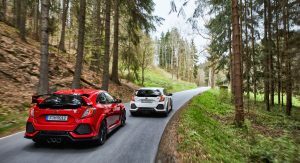 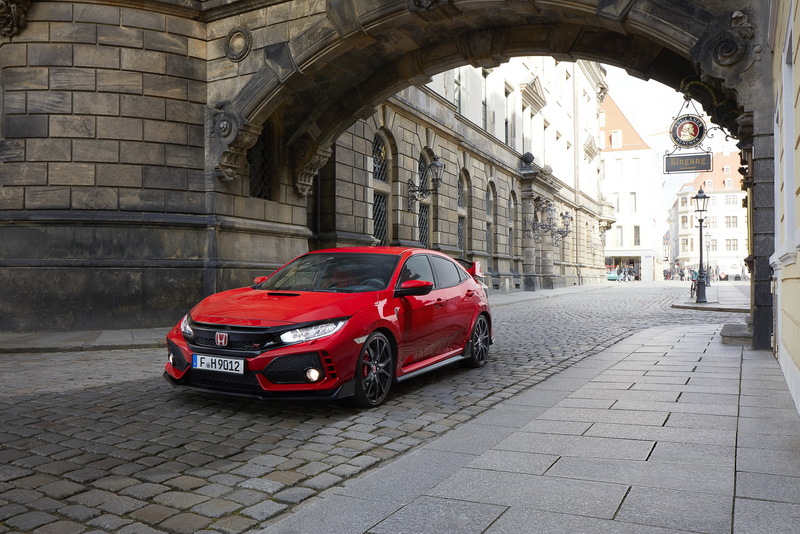 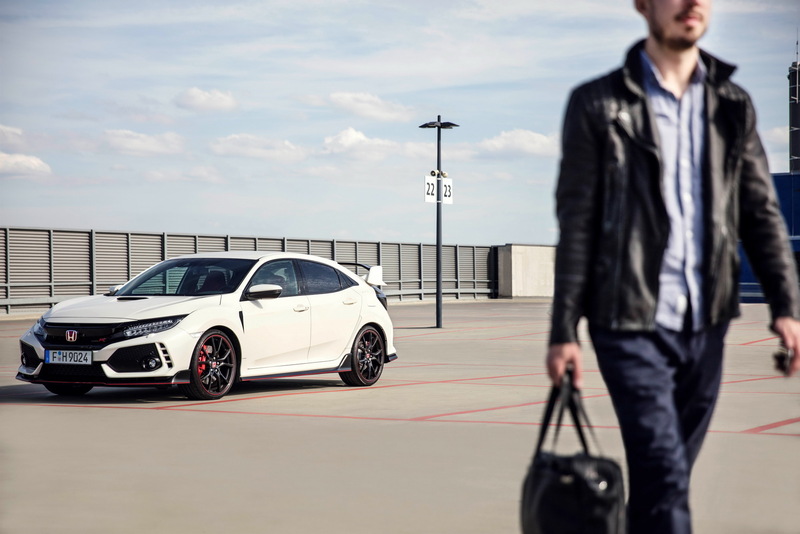 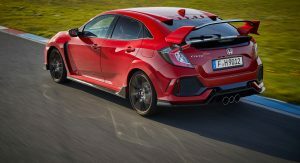 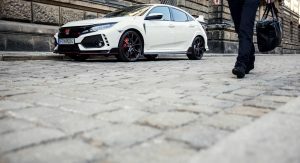 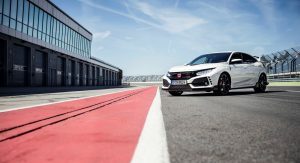 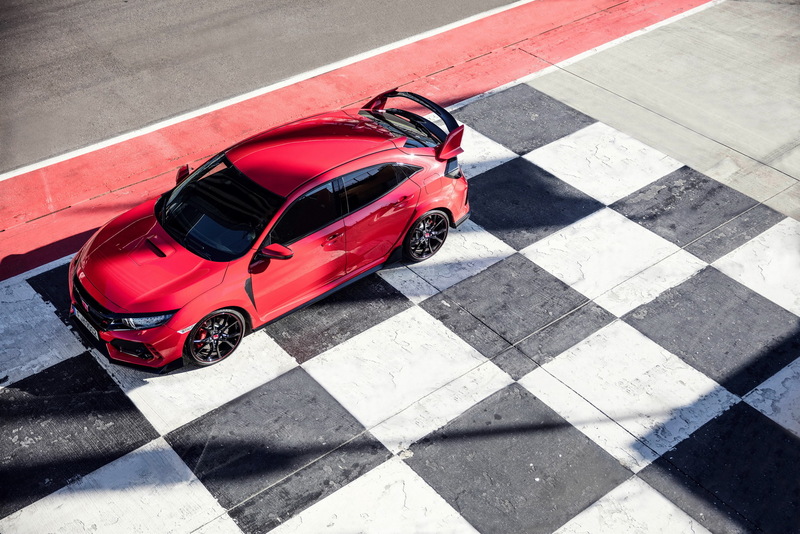 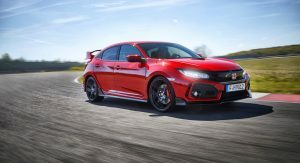 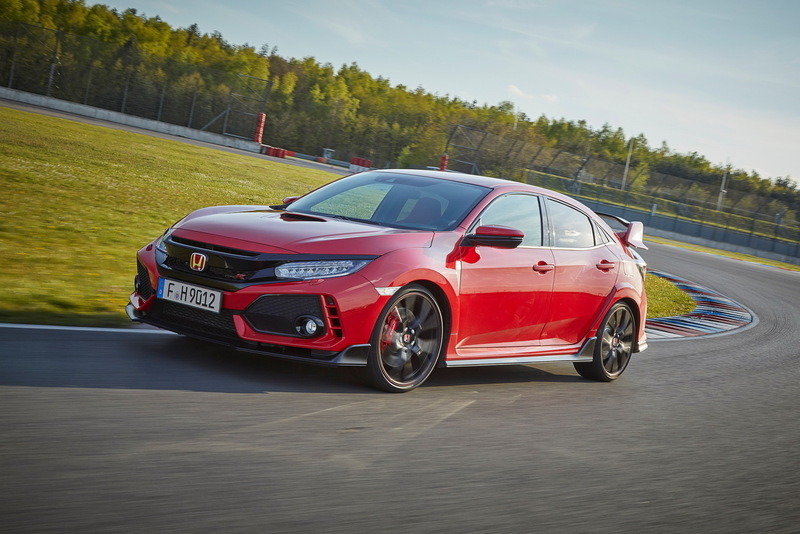 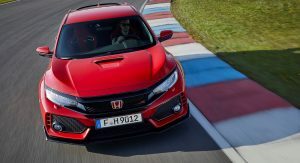 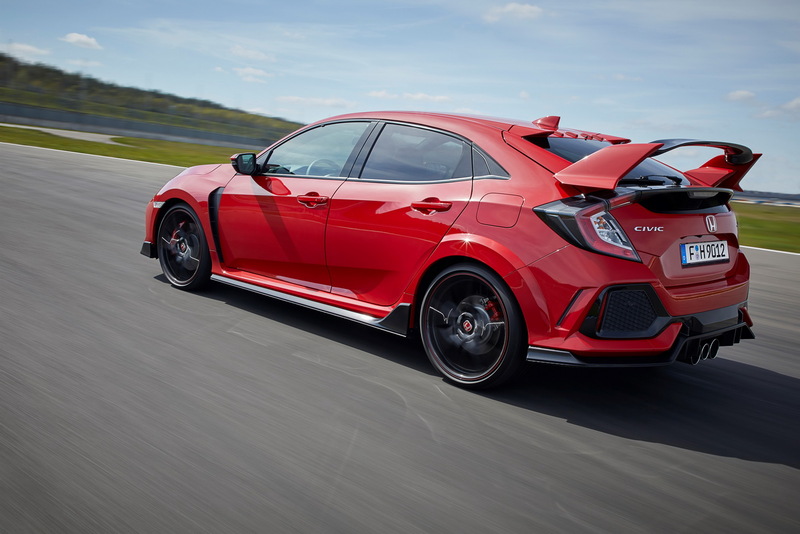 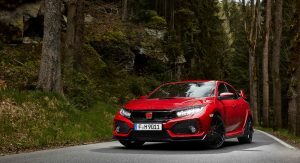 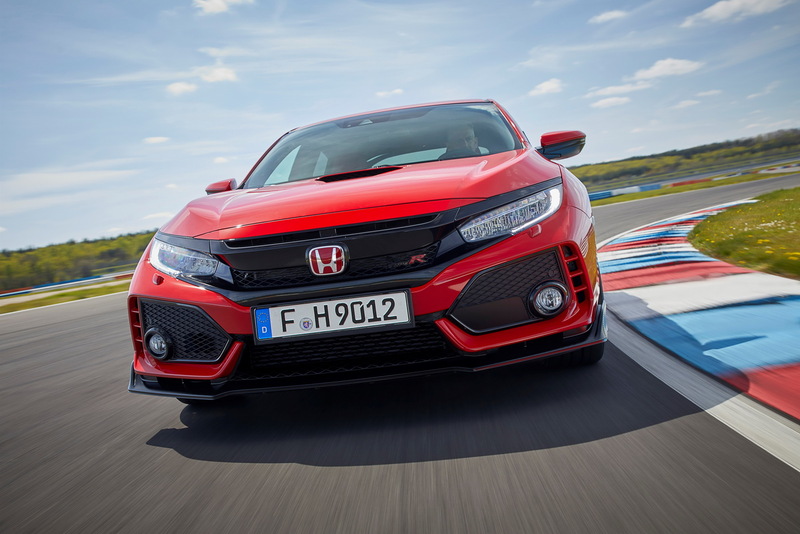 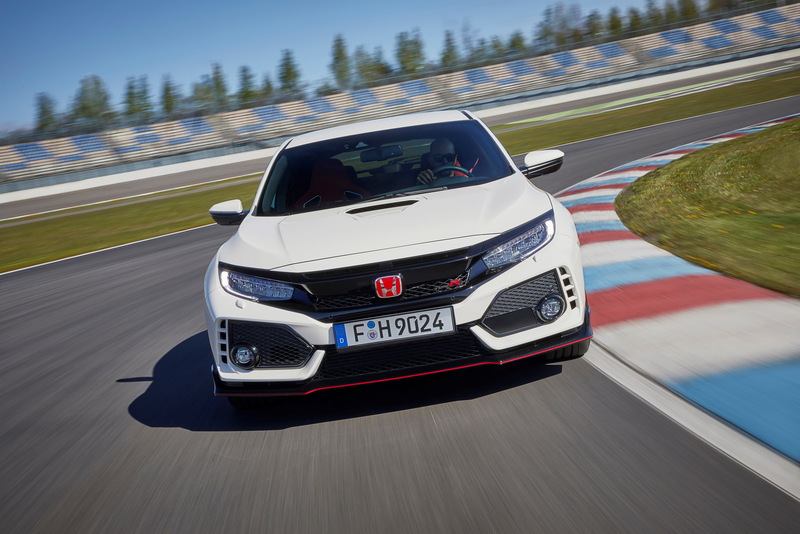 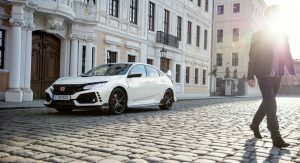 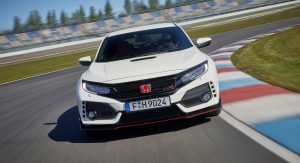 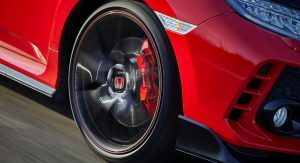 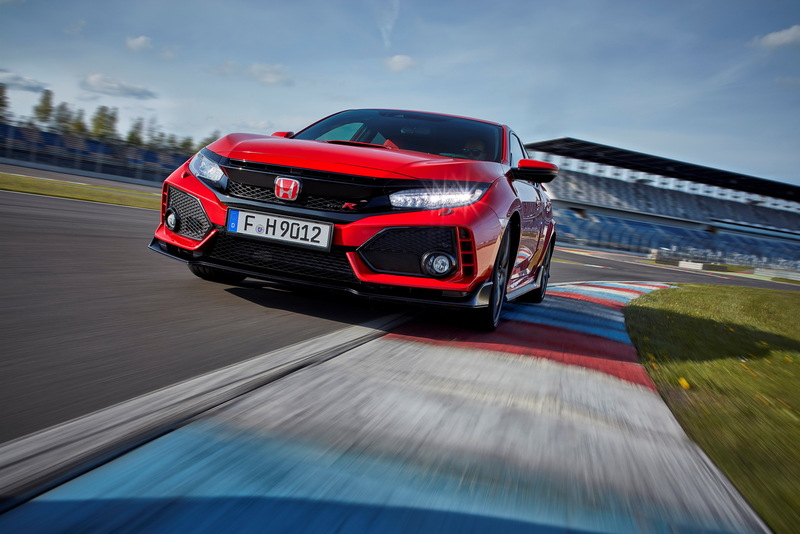 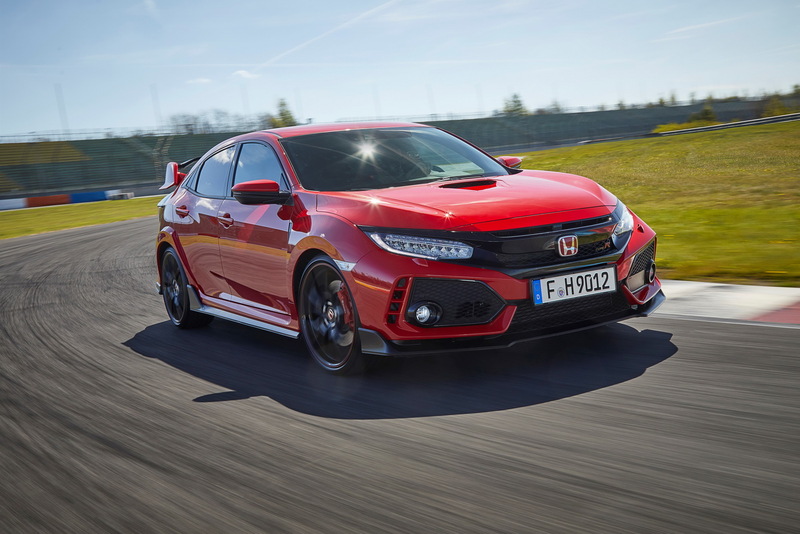 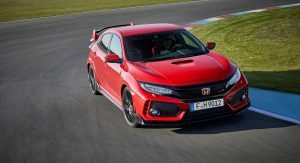 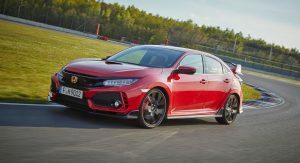 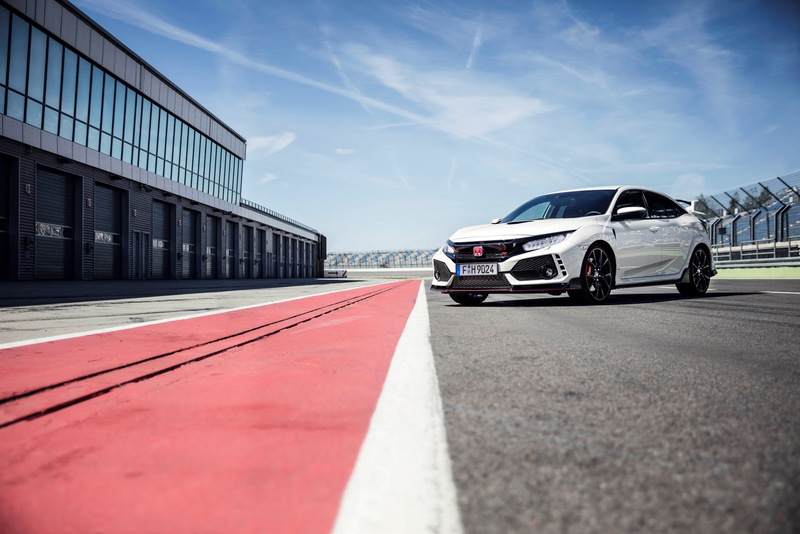 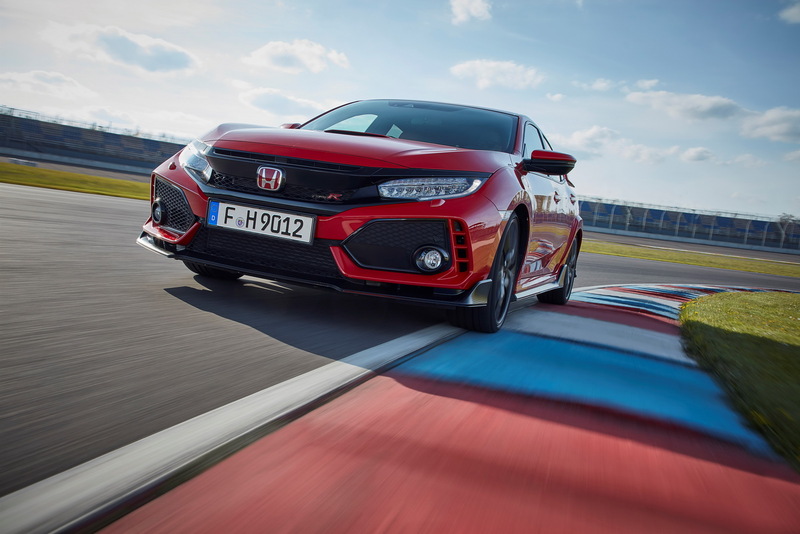 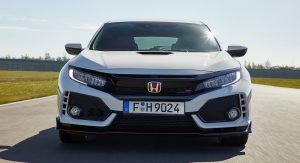 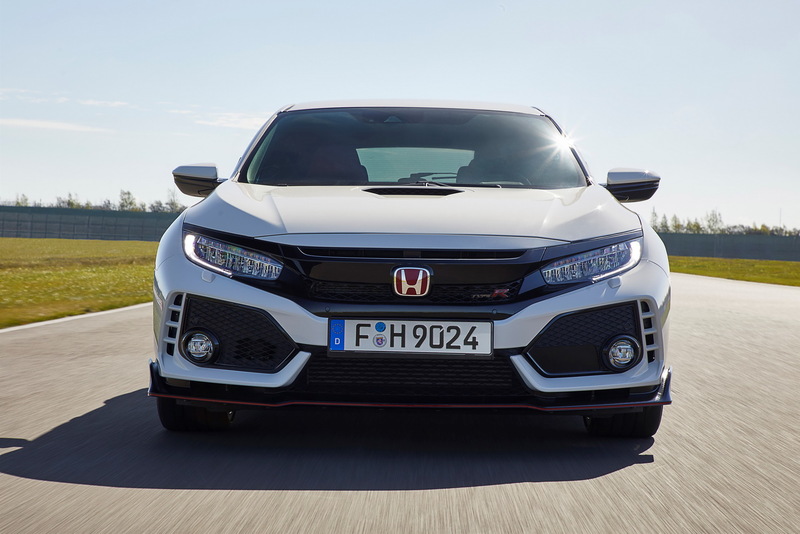 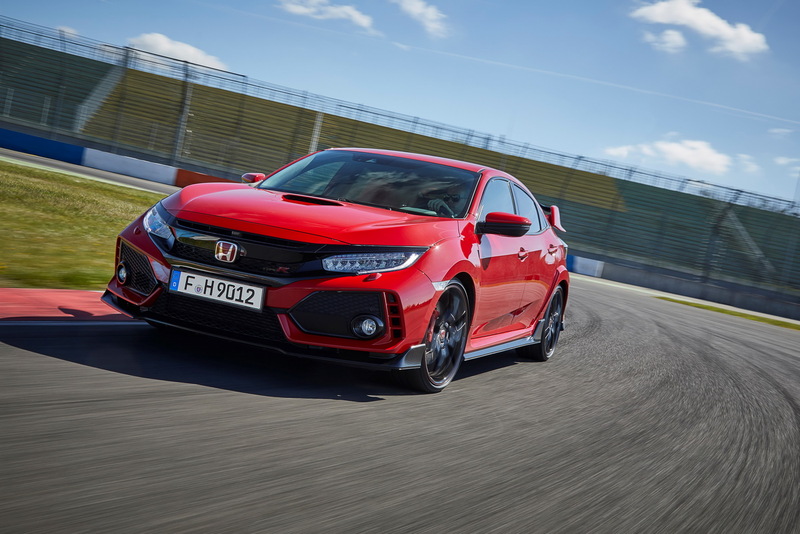 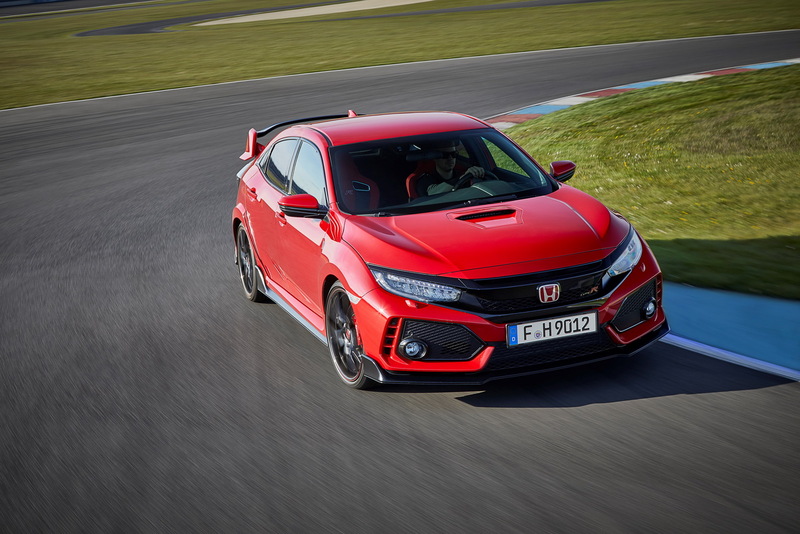 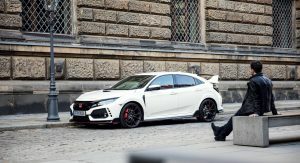 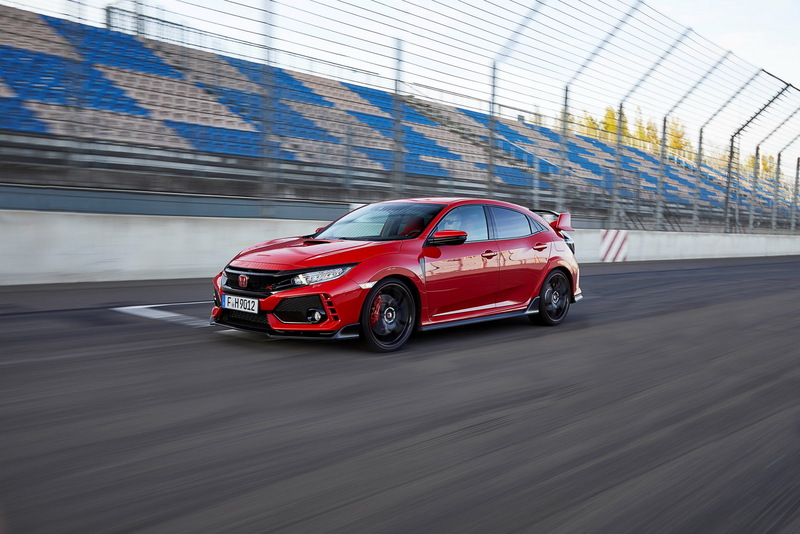 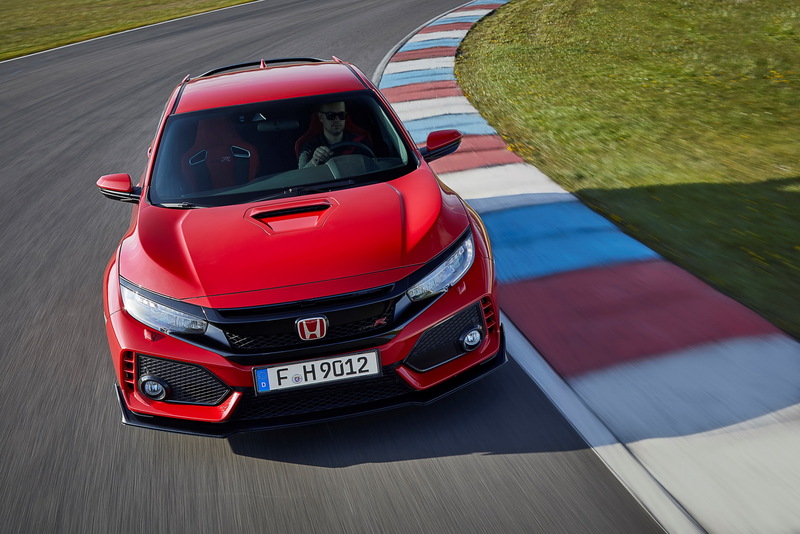 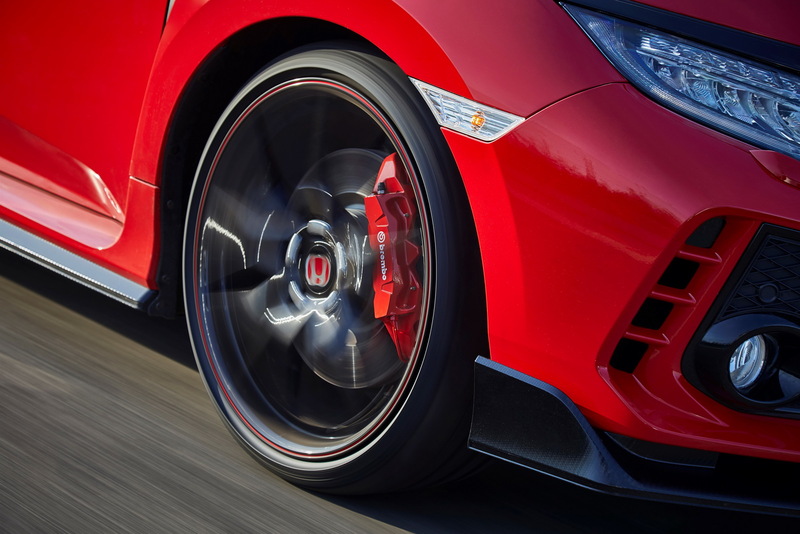 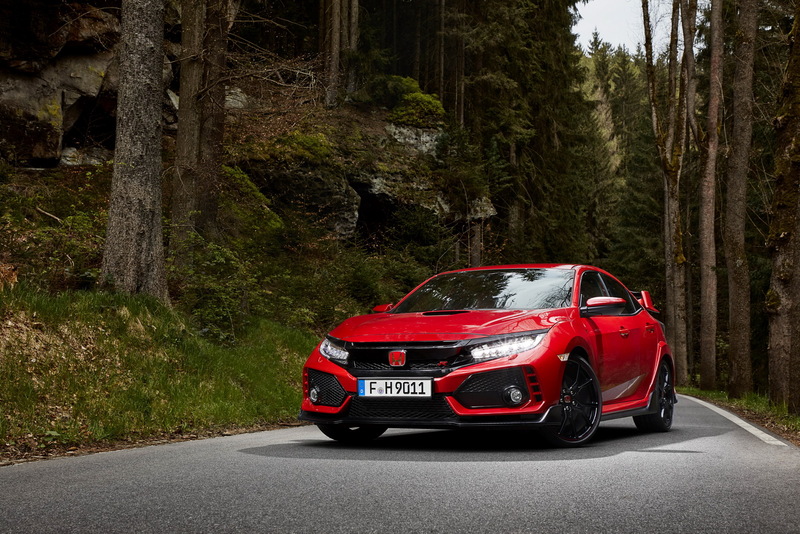 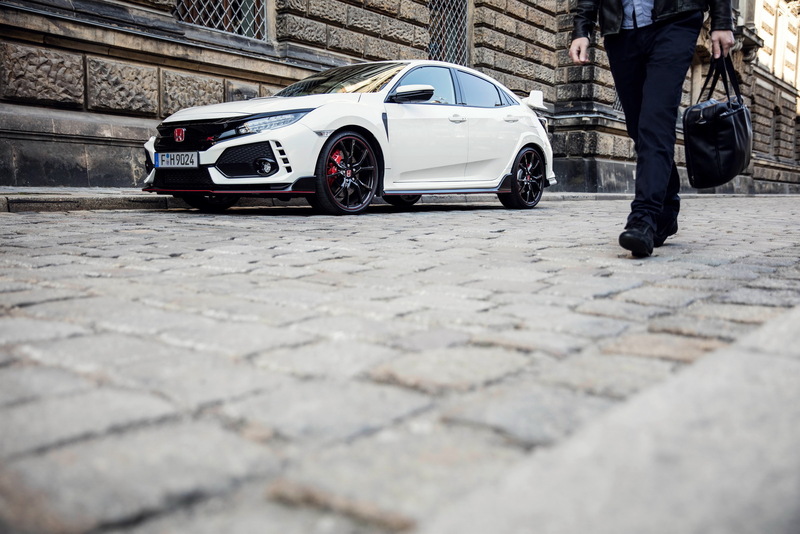 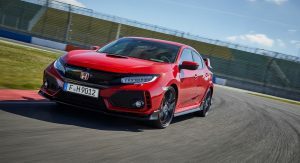 In the United Kingdom, buyers will have to pay at least £30,995 ($43,878) for the most affordable Civic Type R, while on this side of the pond, the Civic Type R is expected to cost upwards of $33,900. 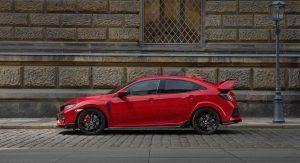 Honda has been ruining the design of the Civic with every new generation lately. 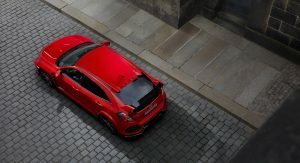 I think MK5, 6 and 7 looked best. 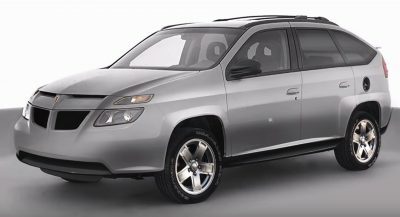 Too ugly + front wheel drive = no deal. 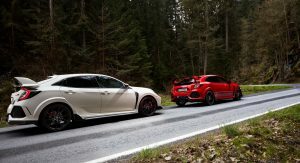 Applaud the effort, clearly a capable machine. 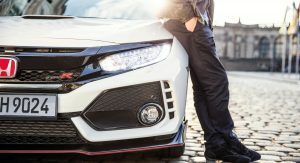 Next time dont make the car you want, Honda, make the car your customer’s are asking for. 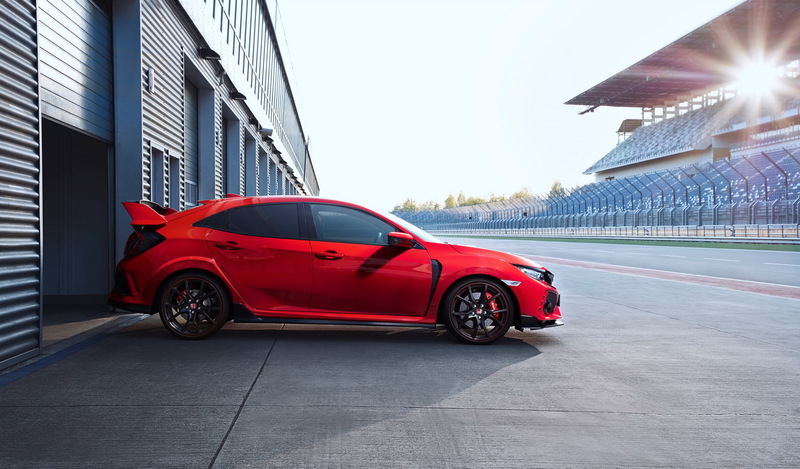 i’m a customer and i am buying this.. they did as they promised… build the fastest fwd, and not sell out by replacing luxuries and glass with nothing and plastic. 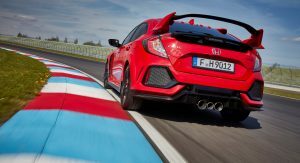 If you live near enough to a track, i could see the appeal. 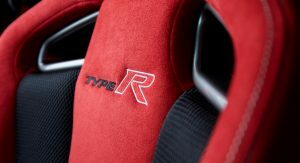 Otherwise, I can see this appealing to most adult shoppers who can’t be seen in something with such a childish design. 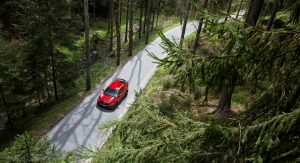 that highly depends on opinion of childish design.. the A class amg is childish design.. shaped like a shoe and crappy aftermarket alloys and the would be f1 style wing tacked to the roof. 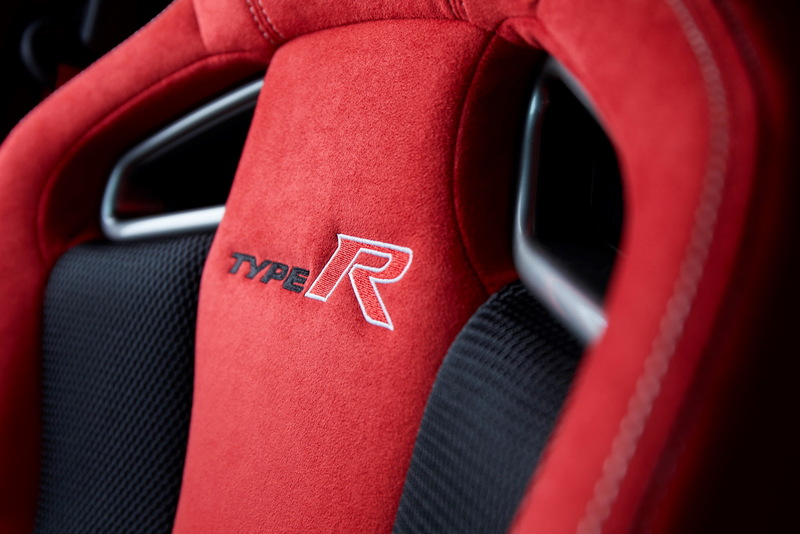 this design is actually functional. 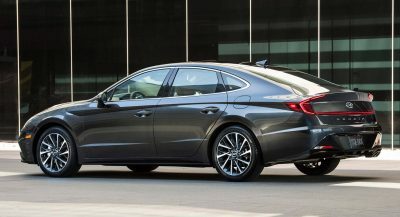 i know many don’t like a black plastic, but realistically in person is doesn’t look half bad.. which is why im buying it. 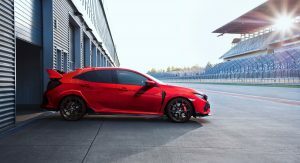 it was between this or the is200t and the noise this car produces won it for me. 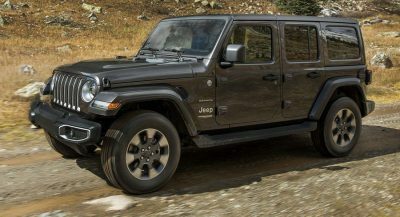 ordering it in that gunmetal grey with the b-pillar back privacy tinted along with with tinted tail lights and repeaters. 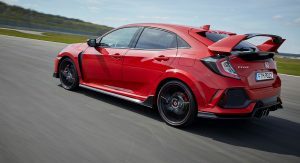 go see one in person and you might change you opinion.. its an unashamedly japanese turbo crazy car.. in true japanese fashion.. reminds me of the long gone evo/sti era of design where aggression is what made them stand out. 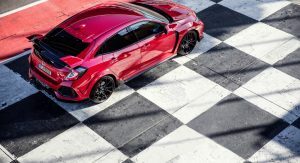 if i wanted a restrained looking boring hot hatch then there plenty of choice (s3, golf r, megane rs etc) and then the typical chav mobile the focus st and rs. 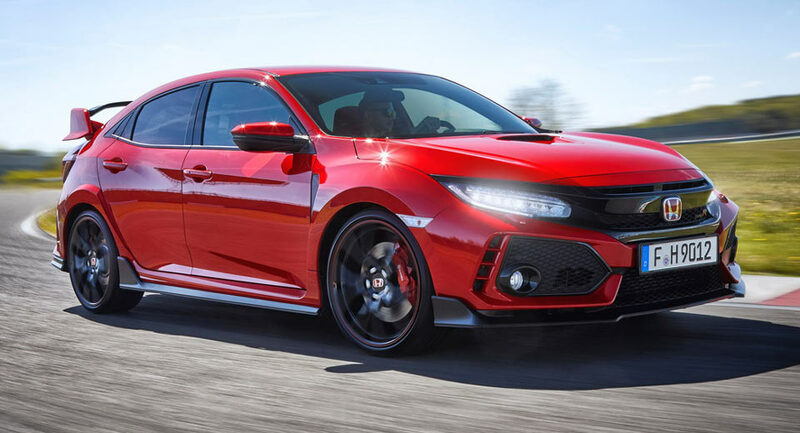 all owned and driven by the miscreants frequenting MacDonald drive through blasting their bass thumping music while wearing their track pants and hoody trying to act tough. 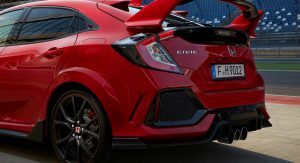 they just look like a bunch of malnourished rats. 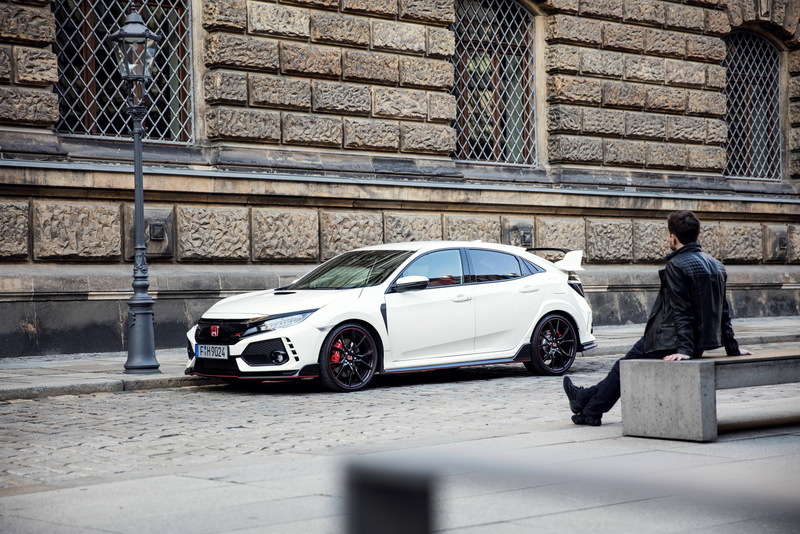 anyway i kinda like so many people not liking this car, it means mine will be more exclusive on the road. 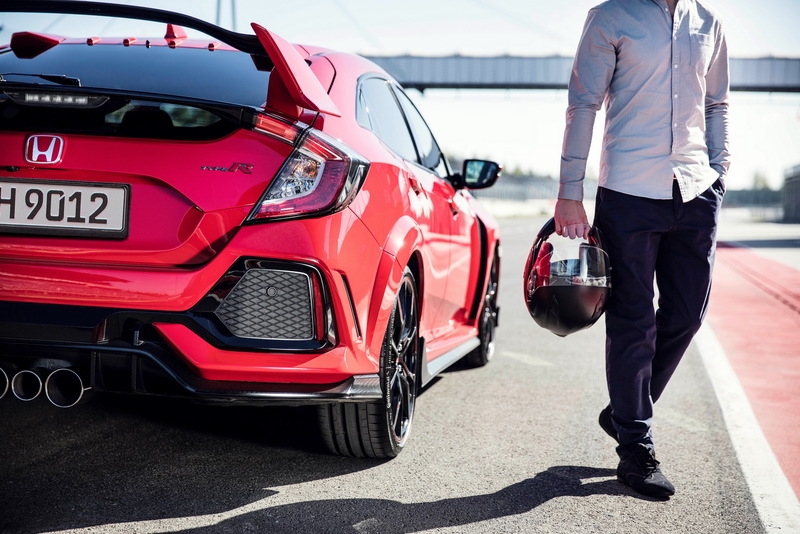 I swear Honda borrowed the ugly stick from Toyota for this one. 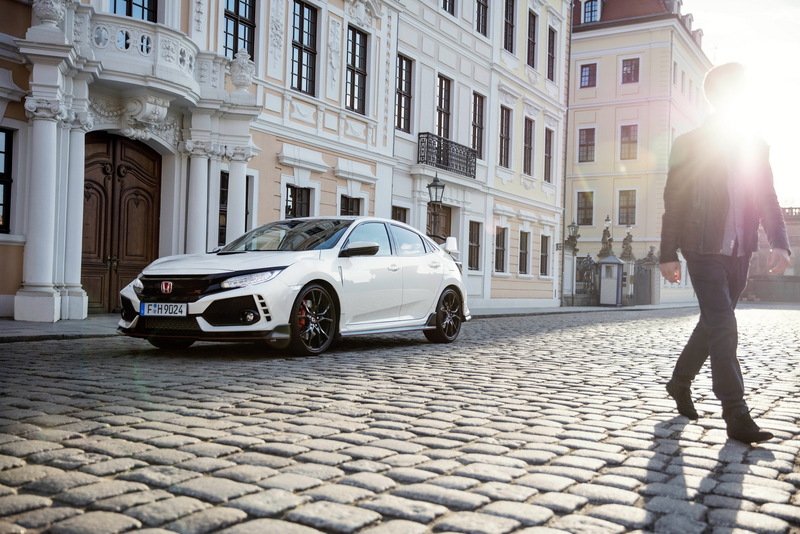 The previous Type R, (Euro Civic) looked so much better, this is neither more modern or better looking. 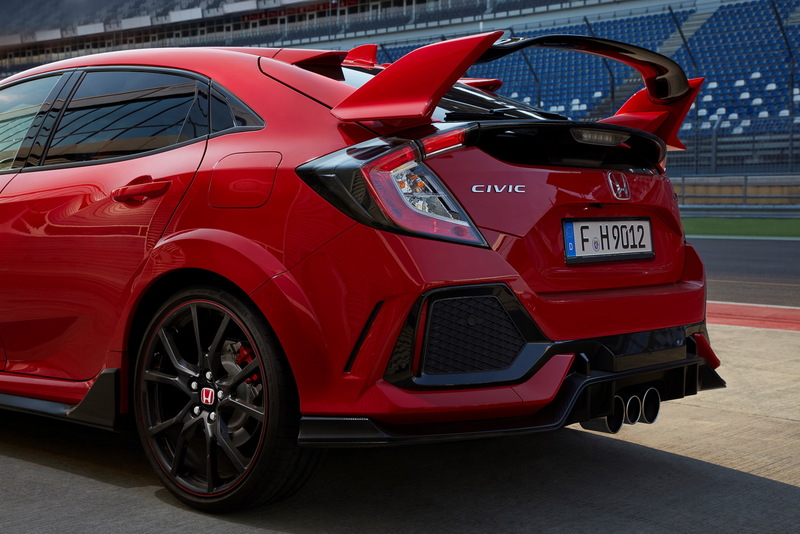 Might be better than previous boring US Civic, but that’s it. 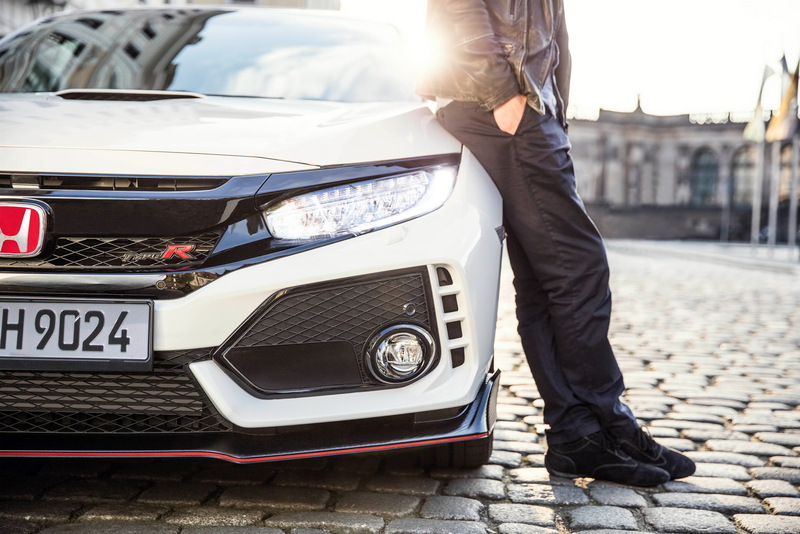 Just a generic Asian design, with too much shapes and plastics everywhere.